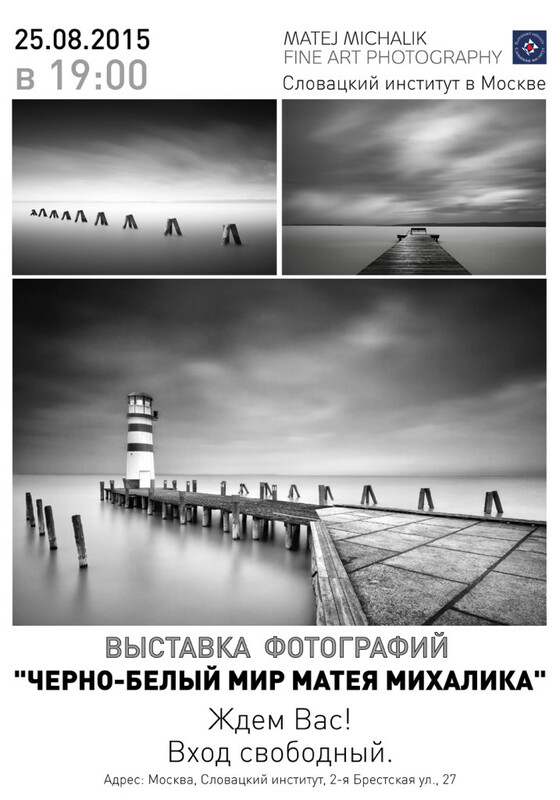 After my last successful exhibition of Black and White photographs in Moscow, which was held in August 2015, the pictures moved to Nizhny Novgorod. The exhibition takes place in Russian Museum of Photography. The exhibition opened the director of the museum – Viera Tarasova with Alla Nuzdina from the Slovak Institute in Moscow. You can find an artictle about the exhibition in the Slovak language on the website of the Ministry of Foreign and European Affairs of the Slovak Republic. The exhibition will continue until January 31st, 2016. The latest issue of the CHIP PHOTO VIDEO magazine is out and you can find my picutre on the cover and some more information inside. It brings me great joy to announce that I have been invited to display my photography in The Slovak Institute in Moscow. It´s an honnor to be contacted by The Ministry of Foreign and European Affairs of the Slovak Republic. There will be 20 images on display, architectural images and seascape images. I will include past pictures I have taken in Moscow, I hope that the Russian public will appreciate my potrayel of their city. At first, I would like to thank Martin Vrabko for providing me with an opportunity to be a part of the Slovak team in the prestigious competition World Photographic Cup. My photo got to the finals and I won the 7th place in Landscape category. All winners were announced on April 12th, in Montpellier, France. Also a local newspaper wrote about our success, the online version can be viewed here. There is another article on Ephoto. 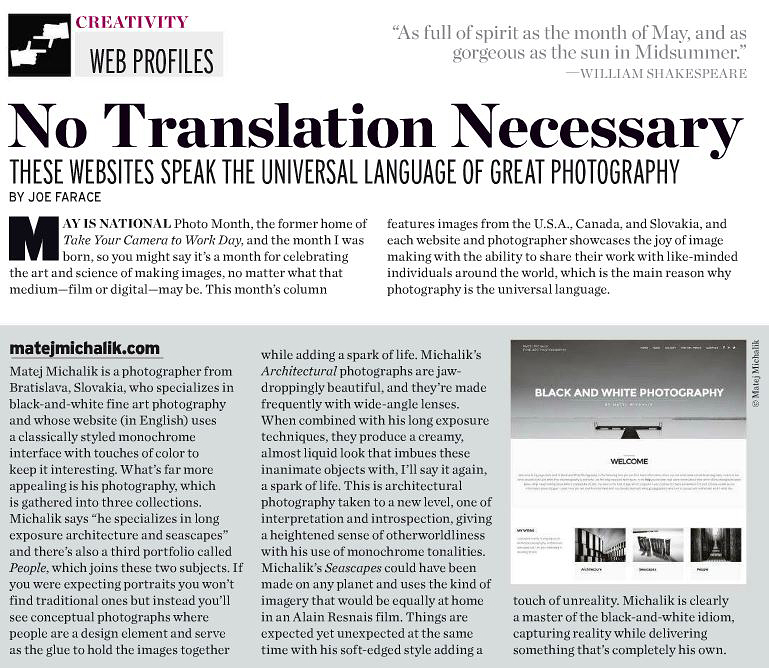 My work was mentioned in Shutterbug magazine. Despite the fact that I live in Slovakia, I decided to run my website only in English to serve a wider audience. 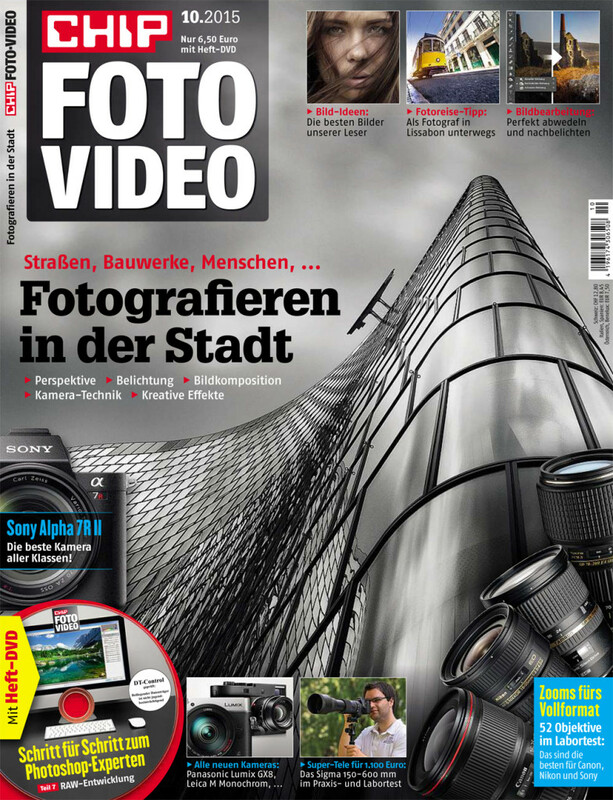 I am honoured that my picture was selected as a cover of the Digital Camera World magazine. You can order the latest issue here. You can find more information inside the magazine, here are the two pages from it. The Sony World Photography Awards is the world’s biggest photography competition. Working across 54 countries, from Australia to Argentina, local juries were tasked to uncover and honour the best single image taken by a photographer from their country and my photo won third place in Slovakia. All images from all 54 National Awards will also be shown as part of the Sony World Photography Awards Exhibition at Somerset House, London from 24th April – 10th May. The first and second place for Slovakia can be seen here. 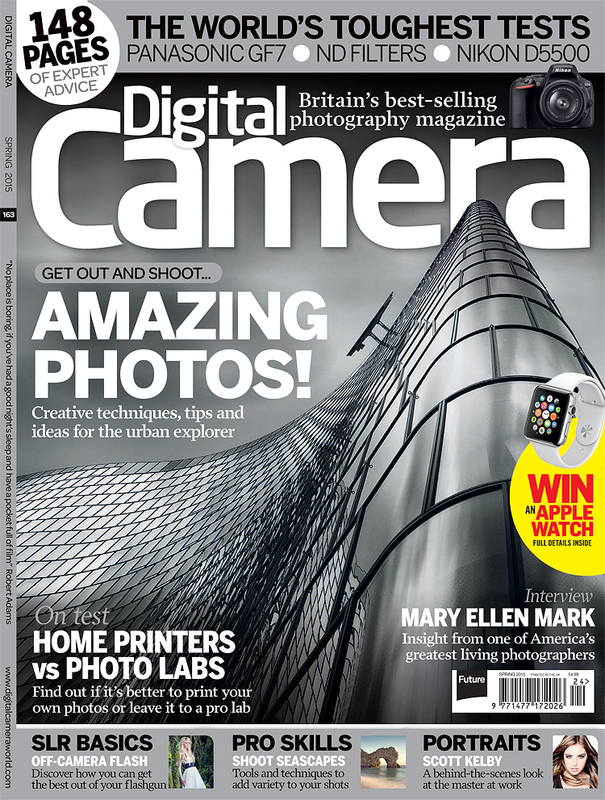 The June issue of the Digital Camera World magazine is out and my picture is there. 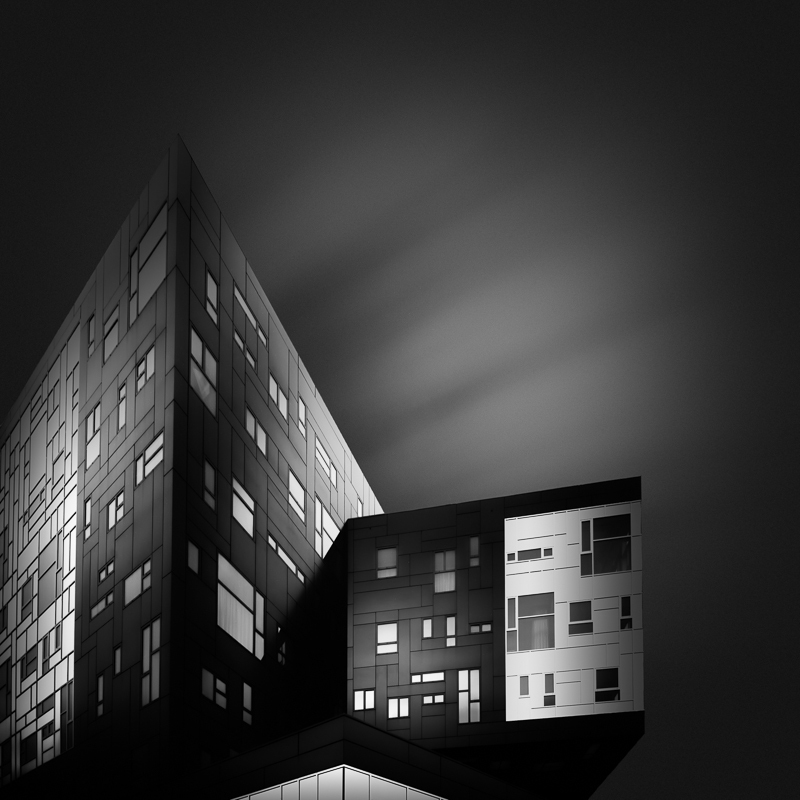 Editor of the magazine chose the photo of the OMV Headquarters Building in Vienna. The independent magazine for Nikon photographers N-Photo published two of my black and white pictures in the latest Black & White edition. 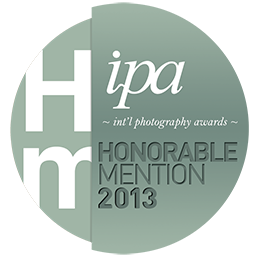 I just won two Honorable Mentions in IPA 2013! The 2013 International Photography Awards received nearly 18,000 submissions from 104 countries across the globe. 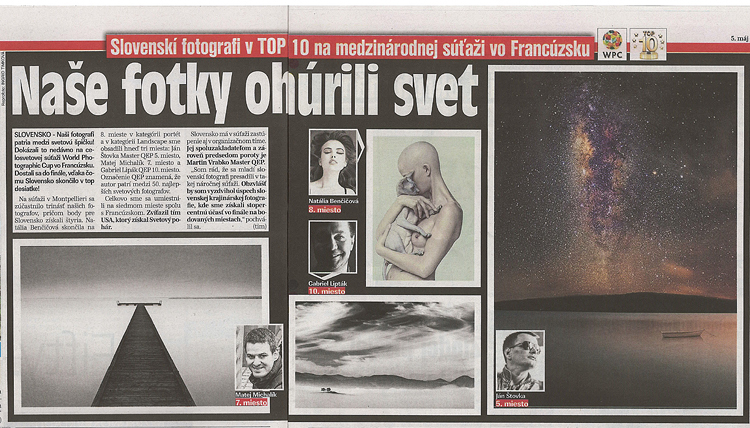 I am so happy, that two of my images won Honorable Mentions!